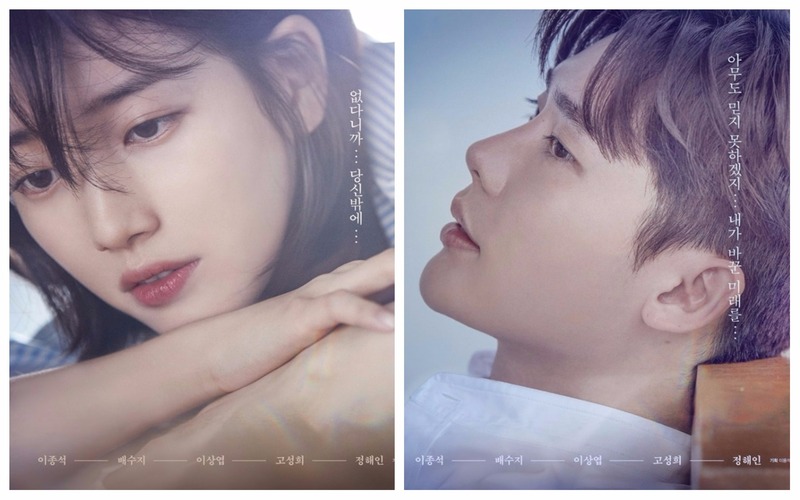 SBS’s latest drama to begin airing is the long-awaited series entitled While You Were Sleeping, featuring Lee Jongsuk and Bae Suzy in the leads. While the drama recently wrapped up filming in late July, the shooting process began as early of February of this year – making this a pre-produced series that has been in the works for a fair amount of time. With a prolific director and screenwriter working behind the scenes, and two leads with their own sizeable amount of star power, this drama preemptively seemed like a recipe for success. But, with the recently aired first two episodes now on the table, was that a fair assumption to make? And more importantly, does the first week of episodes indicate that success would be deserved at all in the first place? Nam Hong Joo lives a rather ordinary life at home with her widowed mother except for the existence of her extraordinary ability. Hong Joo has dreams of terrible events – events that always come true no matter how she tries to avoid them. One morning she awakes after seeing herself embrace an unfamiliar man in her dreams as she tells him that she believes in him. Assuring herself that she is not the type to do something like this, she brushes off the dream, even with the knowledge of the unshakable fate of those she sees in her premonitions. That same day, two brothers move into the house across the street from Hong Joo and her mother. The elder of the two, Jung Jae Chan, works as a prosecutor who was somewhat ill-received by his co-workers at the office, due in part to his history with them. In particular, Jae Chan is locked in an ongoing feud with his former childhood tutor, a lawyer named Lee Yoo Beom. In an unexpected turn of events, Hong Joo is revealed to be Yoo Beom’s girlfriend and neither this fact, nor any of his frequent run-ins with his new neighbor, endear her to Jae Chan. Hong Joo’s quiet life, however, is thrown into chaos when she wakes up reeling in horror from a nightmare of herself lying in a hospital bed listening to the news that her mother had died due to an accident she caused. Despite not knowing when this tragedy will strike, Hong Joo is desperate to prevent this from happening, while Jae Chan’s own sudden ability to see the future in his dreams foretells an even bleaker future for the mother and daughter. I’m going to say: I went into the pilot episode of this drama with expectations set almost unreasonably high. Park Hye Ryun, the writer for While You Were Sleeping, also wrote the script for my favorite K-Drama of all time, I Can Hear Your Voice (and ironically, also one of my least favorites: Dream High). And while one good work does not promise that all will be equally – or even half – as good, While You Were Sleeping‘s general synopsis of a lead character with supernatural abilities, another lead working in the legal business, and the two leads combining their talents to help each other did sound somewhat reminiscent of Voice. After having now finished the first week’s episodes I can say the two dramas seem headed on firmly different paths, but I do see some consistencies in themes, like the exemplification of the corrupt justice system, and parallels in the way the stories are being told. Both dramas, at this point in time, are also consistently high quality and I am happy to declare I am not coming away from this drama with shattered hopes. If anything, I’m more excited for what is to come as the plot proceeds. I’ll first briefly touch on some of the technical aspects of While You Were Sleeping because they really do deserve the recognition. The cinematography for this drama is absolutely beautiful. In particular, the opening scene, with its simple, quiet visual of snow falling upwards over an illuminated Seoul nightscape as time rewinds, was striking and memorable in a way that a lot of dramas first scenes fail to be. A genuine effort seems to have been made with scene transitions as well, and they connect with a fluidity and carefulness that seems to be lacking in most drama series. I am genuinely impressed by the production thus far, and When You Were Sleeping, has set its standards so high now that I hope it doesn’t falter. As far as pacing goes, the four 30-minute episodes flew by faster than I could have anticipated. Exposition was done well and woven seamlessly into the narrative. It’s sprinkled in tastefully and minimally – providing the necessary backstory without dedicating long and droning stretches of the story to it. The writers don’t tell us anything we don’t need to know and we, as the audience, don’t need to know anything that they don’t tell us. Some big reveals, such as the flashback involving Hong Joo’s father, seems to have been intended to shock more than they ultimately were (which was not at all), but it wasn’t played up too much. The presentation was still thoughtful and provided the right context to the beginnings of Hong Joo’s struggle with her predicative abilities and the currently vague connection Jae Chan and Hong Joo had in their childhood. I like that there is a good amount of uncertainty right now about the backstory’s of our protagonists, and perhaps antagonists as well, and that’s something I’m looking forward to see clear up as the plot proceeds. I have to say that I find Jae Chan to be a really refreshing male lead. He’s not nearly as suave as he thinks he is as a prosecutor, his coworkers aren’t really fond of him, he is somewhat disrespectful to his elders, but at the root of the matter he has a strong set of morals that he will stand by. There’s something somewhat characteristically “underdog” about him that makes his more annoying actions not quiet endearing, but at least acceptable. I can’t help but see similarities between Jong Suk’s character here and his character’s love interest in I Can Hear Your Voice, Jang Hye Sung, oddly enough. Our female lead, Nam Hong Joo, is someone that has to bear the weight of her terrible abilility of foresight in her dreams but isn’t broken by this knowledge. I found it a little hard to get a good grasp of what her character is, given that the story spent a good time fleshing out a timeline for her that isn’t actually canon, and given Jae Chan’s own actions that he took to save her life. But, I appreciated the somewhat quirky narcissism that she uses to hide her own insecurities and to maintain a level of almost unwarranted confidence. I admit I have a soft spot for optimistic people who remain optimistic after facing tragedies, both in fictional worlds and in real life, and Hong Joo fits this bill pretty well. I’m not sure I feel the kind of romantic chemistry between the leads that I was hoping for, but their relationship isn’t familiar enough to really warrant much of it, so perhaps that will change as time goes on. I do think Suzy did well in her role, and for all her criticisms in the past, I can only think of a few moments amongst the four episodes where I thought her acting was slightly awkward. Otherwise, her performance was immersive in a character that was interesting and charmingly flawed. I’ll admit I haven’t seen much of her most recent works but if her acting is anything to the quality she’s shown here, I’m not sure the amount of flack she was receiving is altogether fair. Lee Jongsuk, on the other hand, has a knack for picking good dramas and a talent for giving good performances. I think he’s an actor that is consistently believable in all his roles, and I don’t have much to speak on other than that. I can’t say he’s ever disappointed me and he doesn’t seem likely to with his role in While You Were Sleeping either. Go Sung Hee’s character, who I believe to be our second female lead, hasn’t been a large part of the production so far. There’s really nothing to pick apart or write home about for her performance. Lee Sang Yeob’s, who I hadn’t seen in any dramas before this, did have a fairly large role thus far as Jae Chan’s not-so-friendly childhood friend, Lee Yoo Beom. Lee Sang Yeob hasn’t needed to demonstrate much of a range of acting besides “fake” and “patronizing”, but he was believable in both regards and it made it easy to dislike his character. As far as antagonists go, I’m fairly certain Yoo Beom is set up to be a potential primary antagonist. He hasn’t shown much indication that there’s anything redeemable about his character, in any timeline, and yet he comes across to everyone in the drama except for Jae Chan as an all-around good guy. I thoroughly enjoy this, as a villain that most people don’t know is a villain is usually more entertaining to me than an evil, predictable mastermind sitting in his lair (read: office) plotting nefarious deeds. There are some truly terrible people disguised in this world behind a smiling, personable facade and this drama has already illustrated that sad fact on at least two notable occasions in its first week. At this point in time, it’s hard to see what the driving conflict of this story is. The end of episode four indicated that the next plot point to be thrown at our protagonists would involve Jae Chan’s younger brother and the possibility of a murder he may commit for the sake of a fellow classmate. But there isn’t really a clear long term conflict or antagonist outside of Yoo Beom, who hasn’t at this point really been the focus of the story. Instead, While You Were Sleeping seems to emphasize the premonitory abilities of Hong Joo and Jae Chan, and how each of these two individuals cope with such a heavy burden. There exists a nice foil between a woman who has grown up knowing she had this power and a man who has suddenly had it thrust upon him. It brings up a really interesting issue of ethics, and whether someone has the moral obligation to speak up, as the only person with knowledge that could potentially help someone, even if that knowledge is likely to be ill-received or ignored. The question is posed with relation to an altogether unrealistic supernatural ability, but I think the general message can be applied to the real world. Sometimes it is hard to find the courage to say something most people do not want to hear, and sometimes it is easier to turn a blind eye. The mechanics of what is currently being presented as the future in Hong Joo and Jae Chan’s dreams as the future hurts my brain a little to think about, because it’s something that is currently capable of being changed but seems to need some drastic, inciting event to do so. Hong Joo was not able to stop her mother’s death by cutting her hair, but Jae Chan was able to save Hong Joo’s mother by hitting her car with his own. I’m interested to see how the story toys with this inconsistency and, while it may be somewhat twisted, if by the end of the drama Hong Joo’s mother were still to die and her daughter’s vision would again play to fulfillment I think the callback would be an intriguing way to illustrate the inevitability of the future. But, I digress into speculations, in the next two months as this drama plays to completion we’ll see if any of them come true. 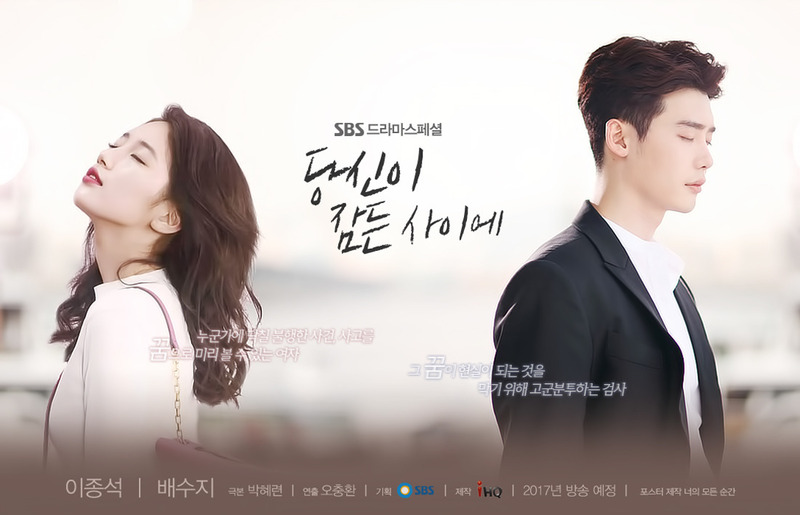 All in all, While You Were Sleeping‘s first two episodes were a very promising start to what’s looking to be my favorite K-Drama of 2017 – if it can keep up the breakneck pace and clever writing. From performance to production value the drama, and all its cast, delivered and it seems like a good foundation for what is looking to be a very good series. At this point in time, I like that the story is somewhat vague in the direction it is heading, as the premise remains just as interesting and the pace remains fast. After pulling in respectable first week ratings, While You Were Sleeping is looking towards a strong commercial run with a quality to match, and I’ll admit I’m excited for it.